The Me Luna Clear with Multi Glitter XL Classic Menstrual Cup isn’t quite as glittery as the other Me Luna glitter cups so we have reduced it in price. It is a great cup to try as it is classic firmness which is good for new starters. There is a choice of 3 handles which is unique to Me Luna. 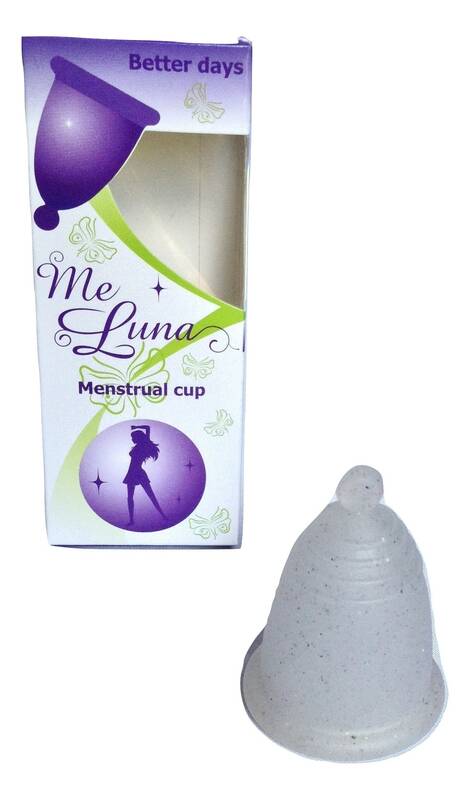 Just think that instead of buying boxes of tampons again and again you only need to buy this one cup! We have 3 styles:- Sport (Firmest), Classic (Medium Firm) and Soft . 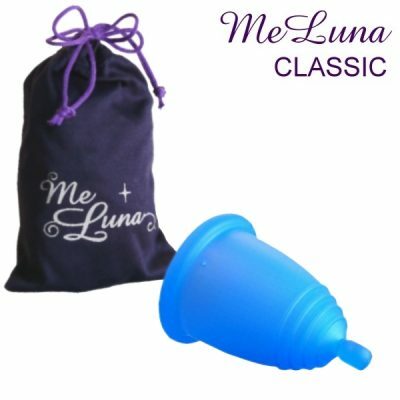 The Soft Me Luna cups are made from 25% softer TPE material than the Classic. They are easier to fold and remove but they need a little bit more practice to place and pop open the cup hence it is recommended to buy a Classic cup as a first cup. We do not recommend buying a soft cup as a first cup. The Sport cups are made from 25% firmer TPE material than the Classic and are suitable for athletic women with stronger pelvic floor muscles. 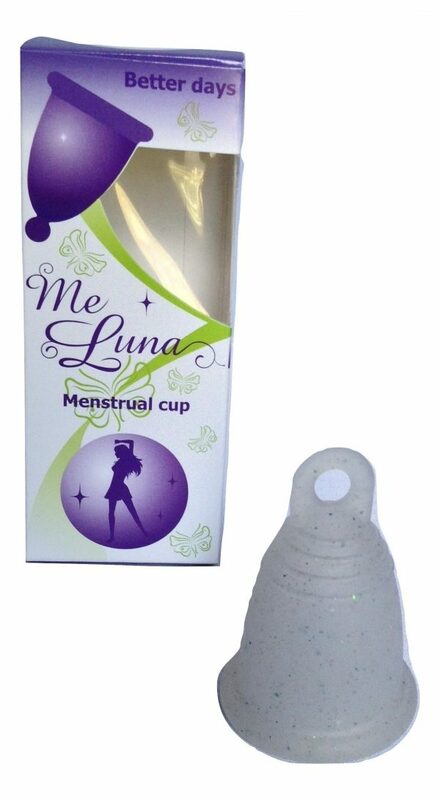 The sizes range from Small to XL.The Small cup is suitable for very young women and also for women with a light flow . The Medium is for women with a medium flow. 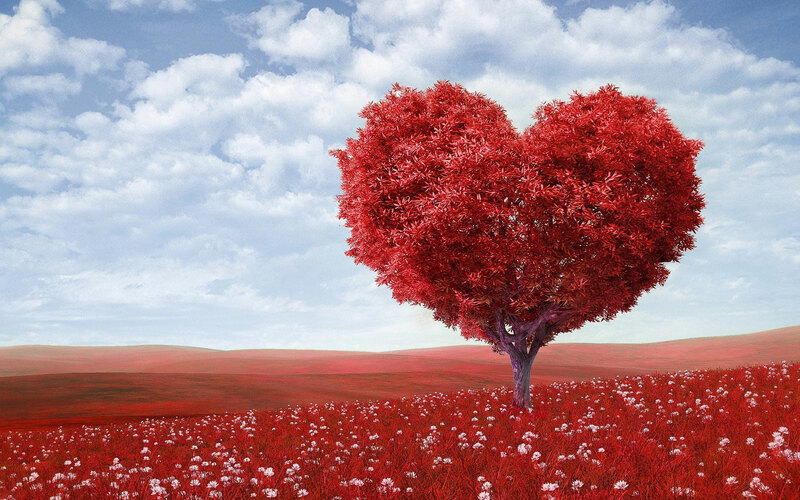 The typical mature woman and those with heavier flow should choose the Large size. 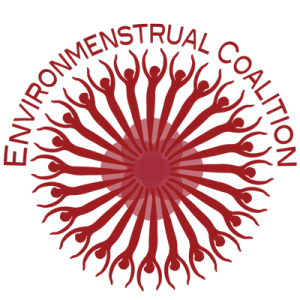 The XL size has been introduced for women with very heavy flow. The Shorty cups are shorter versions of the 4 sizes Small to XL suited to women with lower cervixes. It has a sister cup called Silja which is exactly the same design but made from silicon. 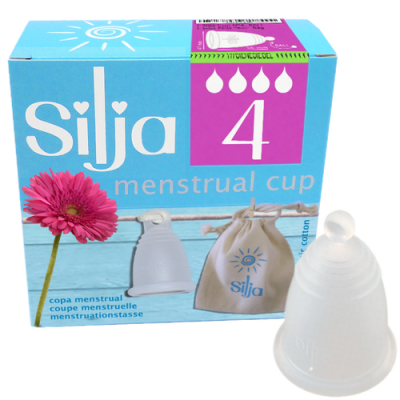 We do recommend customers consider Silja as a first cup as we find it easier to use for a beginner in popping a silicon cup open, establishing a seal and preventing leaks. Silja size 4 is the same as this cup.